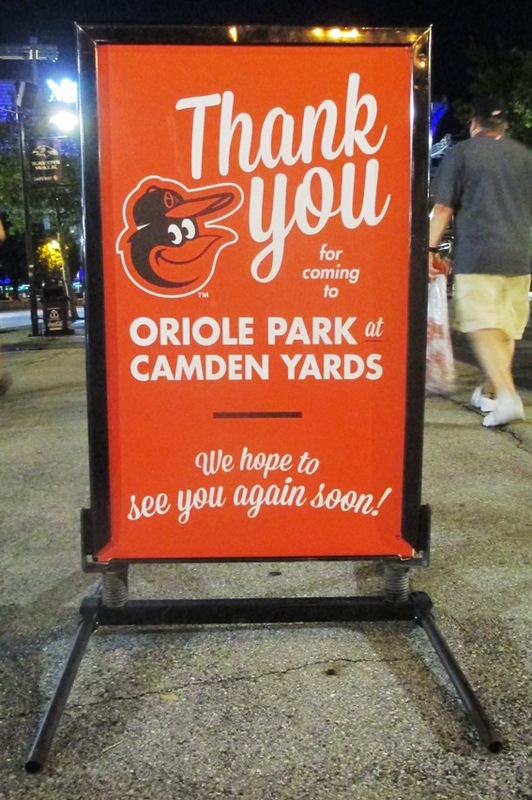 If you’re visiting Camden Yards with kids, you have some advantages – cheap tickets, for one, with the O’s struggling at the gate even in winning times. And plenty of inexpensive parking and outside food vendors. Free baseball tickets? 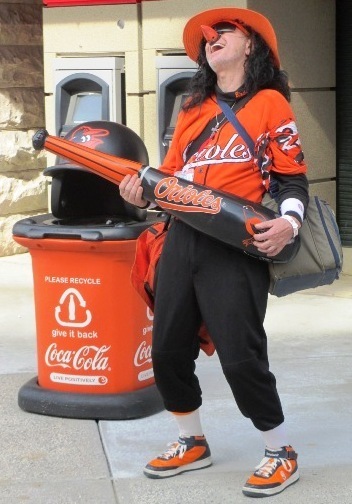 Rock on Orioles! Camden Yards With Kids, Tip #1) Bring The Kids For Free! The Orioles announced an “unprecedented initiative” in 2018…free kids tickets! Yes, you read that right…for each upper level ticket you buy as an adult, you can order two more tickets for kids nine and under absolutely free of charge. This includes every game except Opening Day…including “Kids Opening Day”. This is such a cool thing for the Orioles to do that bloggers of other teams have already strongly suggested that other teams do it too…if only one team would lead the way and reduce concessions prices. It costs a bit more and it’s only six games now. But the team wins a bit more. Camden Yards With Kids, Tip #2) Join The Club. The Junior Orioles Dugout Club is great for the kids, especially if you can go to multiple games. For a small fee, the kid gets six free game tickets, cool gear, access to kids’ newsletters and front of the line access on run the bases days. Camden Yards With Kids, Tip #3) Go on Sunday. On Sundays the Orioles offer cool activities for the kids, like face painting and autographs. And kids love to run the bases after the game…but get in line early if you can, because it’s a very popular promotion. There are a LOT of kids in the play area on Sundays, but it helps them burn up energy. O’s employees even come out on cold days. Camden Yards With Kids, Tip #4) Sit In The Right Field Corner. The play area at Camden Yards with the moon bounce, pitching and batting cages and now a “Bird House”, a treehouse-shaped gym, keeps them occupied for a while. 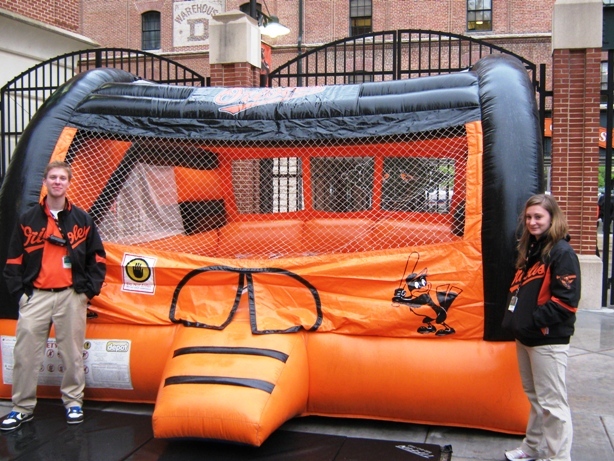 It’s at the south end of Eutaw Street, near Gate H. The Bird House is in the shade, while the moon bounce and other activities are in the sun, so you can imagine which is more popular. 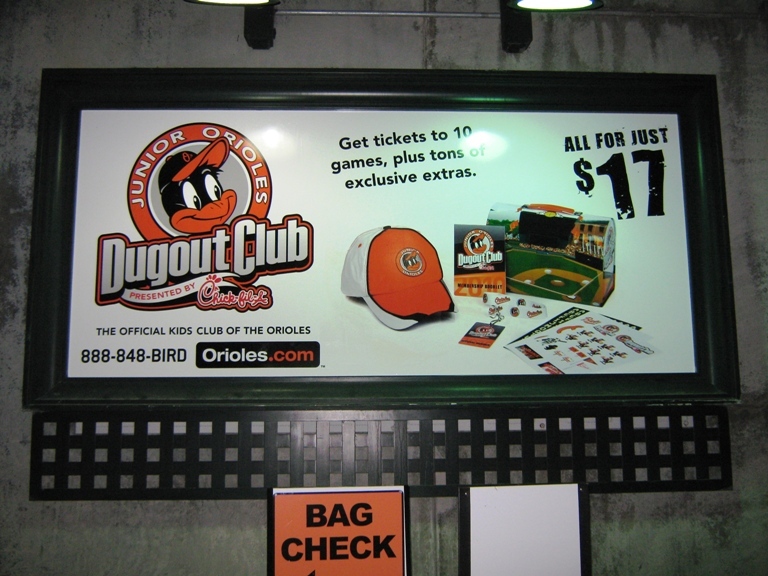 One more thing…don’t forget their “first game” certificate, which you can pick up at Guest Services on Eutaw Street. It’s near Boog’s BBQ.